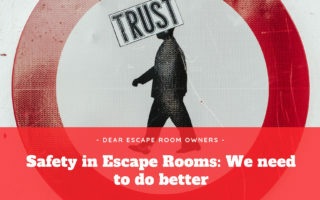 Escape Rooms and VR / Virtual Reality are a “hot topic” right now in the escape room industry as well as in the escape room enthusiast community. 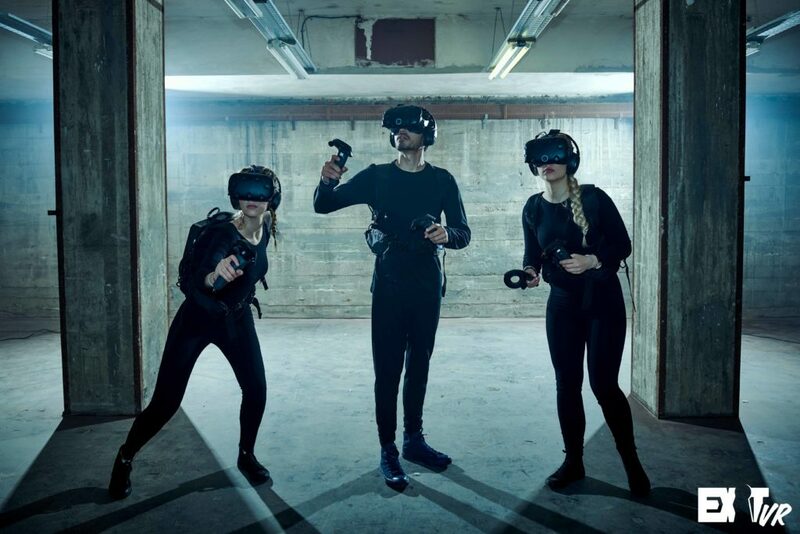 The opinions vary – some embrace the new technology, while others argue that VR will never be good enough to compete with “real” escape rooms and the “on hand” experience you have with your friends. Sure – good points. We had a similar reaction when we played our first VR room in Budapest. While we liked it as a different thing, we did not feel like we were actually playing an Escape Room. Exit VR promises something different. No longer will you sit in a chair and navigate through virtual space with some hand motions or a controller that feels like you are just playing with your playstation. That made us curious. We did not like the limited movement in Budapest, so this sounded great. How does it work? After having a fairly standard briefing, our game master took us down to their VR cave. How does the VR Work? We like to call it cave, because its pretty big and dark. Every player gets their own 25sqm room, where you will be able to walk around and interact with virtual objects. After putting on the VR-glasses and a backpack with some more hardware components, the gamemaster hands you some controllers. But wait – didn’t we promise that you won’t have controllers? You still have them, but the movement in the VR world is all captured by your movements in the VR cave. The controller is only there so you can interact with objects in the virtual world. And that works surprisingly well. What kind of interaction? Picking things up, pushing buttons, throwing objects – stuff like that. What about the Team aspect? Although you are not in the same room in the real world, you are right next to each other in the virtual space. You talk to your teammates with a headset, which also functions as your lifeline to your gamemaster. The team interaction works surprisingly well – it actually blew us away. But lets not get ahead of ourselves. Explore fascinating science-steampunk worlds and find out what has happened. Will you succeed in helping the robot HUXLEY and prevent the apocalypse from happening? The story setup is cool and works very well a VR adventure. After starting the game, you will receive your mission briefing and the ultimate goal: save Huxley and maybe even all of mankind. The mission takes you to multiple locations, but know that your team mates will always be in reach to work things out together. The first section of the game, while still offering puzzles for you to solve, teaches you the fundamental game functions as grabbing elements, pushing buttons and team interactions in a very clever way. The further you go in the mission, the more freedom you get as players. You might ask yourself: how free can you be, when you are standing in a 25sqm room in the “real world”? Of course there are limitations to your movement, but the game has a very clever way of dealing with those, without making it feel like you are just moving around in that small space. The puzzles get harder with time and include – naturally – a lot of logical and combination puzzles. Do not expect some physical challenges. The tensions get higher while the story goes on and after overcoming some frustrating moments that came from our communication fails – we escaped with a good time and some really big smiles on our faces. We have not experienced a lot of Escape Rooms where we were so sad that we have already escaped. Why? Because the VR experience in Huxley is so amazingly well done that we didn’t want to leave. Sure, graphics of the game are not photorealistic and you do know that you are not in the real world, but the experience itself is still pretty convincing. 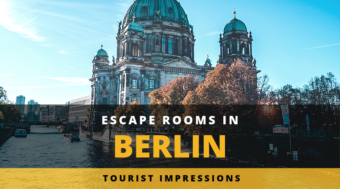 We were surprised by the high level of the virtual graphics – we did not expect that from an Escape Room experience. For us, the key to a great Escape Room is always a good team experience. Having the ability to actually move around in the real world, seeing and hearing your friends right next to you makes Huxley very convincing. 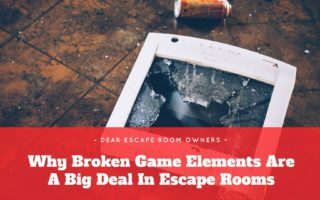 You certainly can not have the same experience in your living room – and thats the key to providing an VR escape room that is also worth that kind of money. 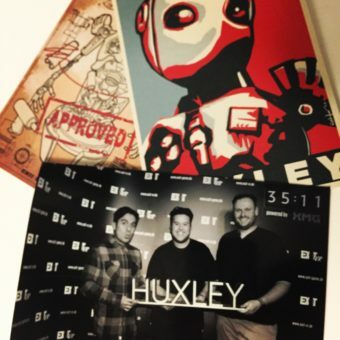 So yes, we are sold on technology and the game design that Exit VR used for Huxley for sure. 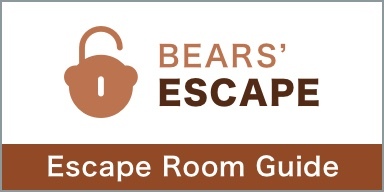 Is this an experience for new players (as well) or just for experiences Escape Room enthusiasts? 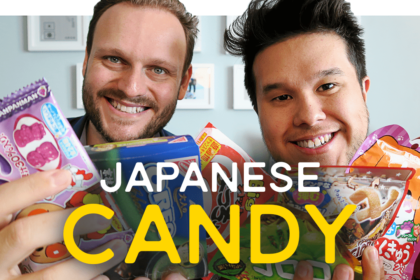 Well, we took our friend Ricardo from the mexican YouTube Channel PepeyTeo with us. Although he has already done some Escape Rooms, we would still call him an Escape Room newbie and he loved it. Since this experience is so “new”, experienced players might be a bit faster – but in general, everybody should be able to enjoy it. 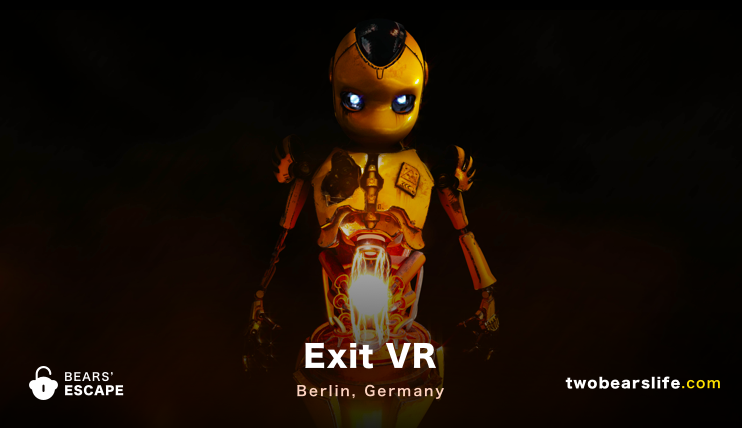 All in all, we were very positively surprised by Exit VR and Huxley. Frankly, we can’t wait for their next adventure – whenever it may come. Exit VR produced an amazing virtual reality escape room experience with Huxley. 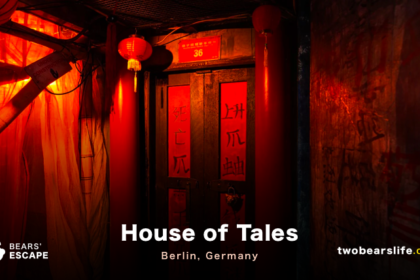 It is truly up there with the best rooms we have done so far and an absolute “must do” if you are in Berlin. 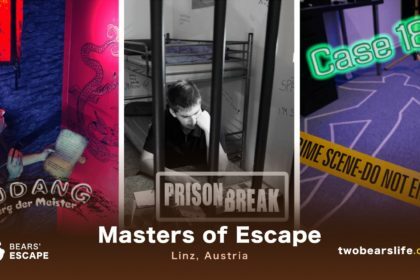 Are you sceptical about VR Escape Room, because you have done static VR games? Give this one a second chance – it may surprise you.